Who has $47 billion burning a hole in their pocket to buy Salesforce.com? Salesforce.com has been approached by someone who wants to acquire it, and is now working with advisers to field offers, Bloomberg reports. Its market cap closed at more than $47 billion on Wednesday, so any suitor needs deep pockets. Analysts speculate that IBM, Oracle, Microsoft and SAP are possible shoppers, but Oracle is seen as the most likely to be looking to make a deal and get it done. Maybe there’s hope for all of us: maybe life is not an extended version of high school, because it turns out there’s not a huge market for an app designed for people who want to post anonymous gossip. Secret, the app company that had raised $35 million in venture funding, is shutting its doors, the New York Times reports in a chronicle of its rise and fall. But for those still in high school, the similar Whisper—which targets teens, not adults—just hit 10 million users, re/code says. Maybe they’ll grow out of it. Satya Nadella’s Microsoft continues to open up to the rest of the world, and at its Build developer’s conference on Wednesday showed how it would let third-party developers access and use data that resides in Office products. A new unified API allows third-party apps to pull data from services like Outlook, PC World reported. 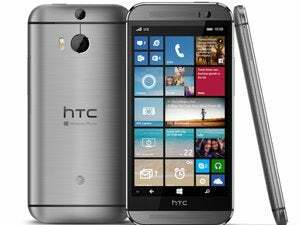 The wealth of apps available for Android and iOS has long dwarfed what’s available for Windows smartphones. One of the more significant pieces of news out of Build is a way for Android and iOS developers to port their apps to universal Windows apps, reusing their existing code. Those apps will then be enhanced with Windows 10 features—and fill out the shelves on Microsoft’s app store. In a signal that the Azure cloud now rivals Windows in strategic importance for Microsoft, the company has introduced a version of the Visual Studio development tool that can run on Macs and Linux machines. The development environment was built to help developers create Windows applications, but the new—and free—Visual Studio Code is meant to simplify how they deploy their code to Microsoft’s Azure cloud platform. Apple could be on track to top Xiaomi’s market share in China, riding strong sales of the iPhone 6 in a market that prefers larger screen phones and where the Apple brand carries lots of cachet. Home-grown Xiaomi was the leader in the first quarter with 13 percent market share but Apple was closing in at 12 percent, according to research firm Strategy Analytics. Demand for iPhones is so high that Apple could become China’s largest smartphone vendor later this year, it said. One of the innovations in the Apple Watch is the taptic interface that mimics the sensation of being tapped on the wrist, but the component that makes that happen is apparently at the center of a supply chain issue throwing a wrench in the production works, the Wall Street Journal reported. Apple had to change suppliers after some of the taptic engines it was using from a Chinese maker failed reliability tests, but the new supplier has yet to fully ramp up to meet its needs. 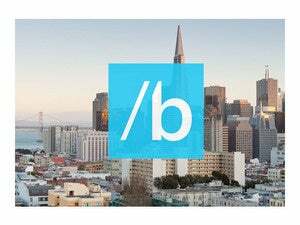 Missing out on Build 2015? Catch the keynote highlights in three minutes. But wait, there’s more—more apparently untold in the Silk Road saga. Wired dives deep into the online black market and comes up with more tales to tell.